Often times the more options we have to choose from, the harder the choice becomes. This is true in a wine store where you have wines from all around the world, when all you wanted was a glass of red wine. This same is true for dentists. In Los Angeles County there are thousands and thousands of dentists, all competent dental care providers. Just put “dentists near me” or “dental offices near me” into a search engine, and you will find dozens of dentists in Lakewood! So how to pick just ONE to build a long-lasting and trusting relationship with? But as with any major decision you do… research, and create a fact-based system to decide your future dental care provider. When looking for a dentist near you, you definitely want to browse the practices’ website to get a feel for their offerings and who they are. Beyond this we highly recommend and suggest reading ratings and reviews that are available online. This will give first-hand experience from people that are happy or upset at the care they received in the dental office. If you have no local friends or family to give you suggestions, the Internet is a great place to base your research and begin your search. Also critically important is finding a dentist that can provide general and common dental works in addition to advanced complex procedures. 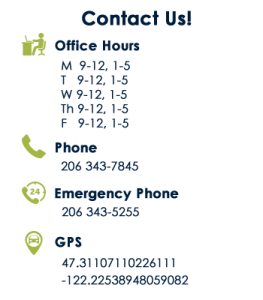 For your convenience, you want to find a dentist centrally located to your day-to-day life. Consider where you work, where your children go to school, or where you most commonly frequent. In addition you will want to perform as many dental procedures as you can in your dentist office, without having to go elsewhere to see a specialist when your dentist cannot perform. If you have young adults you might consider a dentist that is able to do wisdom teeth removal, this is a wonderful procedure that will save lots of headaches and impacted teeth later on in life. Most people will need one root canal or several. Owing to tooth decay, cavities, or are simply broken teeth, root canals are now a routine procedure. If you have a history of bad teeth or have many dental implants, you may want to consider a dentist who is proficient in installing dentures or otherwise filling in gaps of teeth. Dentures in a day is a solution that many dentists are able to provide. 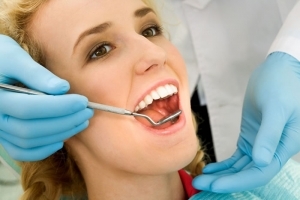 The dentist’s services should be professional, quick, and provide excellent dental services at an affordable rate. Teeth whitening is another procedure that lots of Americans are adopting. The costs have come down in recent years, and with the mass adoption of high resolution cameras, nearly everybody is looking for a more perfect smile and whiter shades of teeth. A dentist who can address gingivitis and gum disease. These two illnesses can cause tooth pain but more directly they cause pain and swelling, inflammation, and sensitivity to the gums. In addition to the services mention on this page, our dental practice is proficient in providing all types of dental works for individuals, adults, and children. Our philosophy is to provide a warm and friendly atmosphere in order to build a long-term relationship with each one of our clients. We are the premier dentist in Lakewood California, come visit our office today and see what we can do for you.